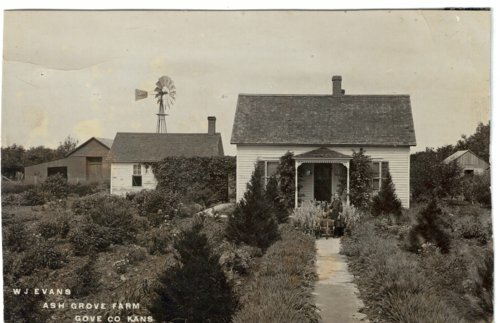 This is a photograph of Ash Grove farm owned by W. J. Evans. It was located near Grainfield, Kansas. It shows a house and several other buildings. Visible in the photograph is a windmill. The young girl is unidentified. The landscaping around the house is fairly extensive.